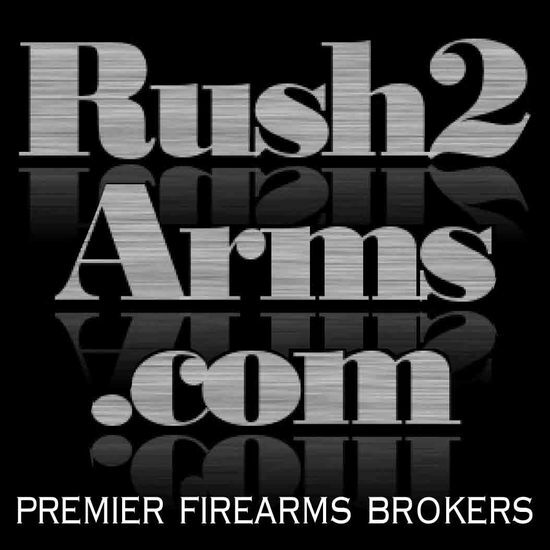 Antiques and Estate Auctioneers/Rush2Arms.com » Firearms and Militaria Auction! Payment Instructions: At the end of the auction all purchases will be charged to your credit card on file including buyer's premium. A separate charge will appear for packing and shipping at a later date. Ohio Residents will be charged 8.0% sales tax. Internet buyers will be charged for entire packaging and shipping costs. Everything is sold "as is" and all sales are final. Bidder hereby waives their right to initiate a charge-back on his/her credit card for any reason. Auctioneer reserves the right to charge your credit card at the drop of the hammer. Your invoice will be billed to your credit card following the auction. Any bidder who fails to comply with these terms will be subject to collections from an independent company along with any penalties and fees associated with the service. Descriptions and condition reports are based on a visual inspection of the item. We have made no examination of any internal mechanical workings or firing mechanisms. You should have your firearms inspected and serviced by a qualified gunsmith. Shipping Instructions: If purchasing firearms winning bidders should have a valid copy of your dealers FFL license faxed to us at 440-647-4006 within 48 hours after the auction, with a copy of your invoice. Modern handguns are shipped USPS Priority mail. All other items are shipped UPS Ground Service. A packing fee of $15 per box and the actual shipping fees will be charged separately. Non firearm items will be charged actual UPS shipping charges and a packing fee based on volume and size of items purchased. Descriptions and condition reports are based on a visual inspection of the item. We have made no examination of any internal mechanical workings or firing mechanisms. You should have your firearms inspected and serviced by a qualified gunsmith. Checkout Date & Times: Day of auction. The total amount of your purchases plus Buyer's Premium will be charged to your credit card upon completion of the auction. Items will be automatically shipped USPS. Shipping will appear as a separate charge on your credit card at a later date. IMPORTANT: THE COST OF SHIPPING LARGE, HEAVY AND GLASS ITEMS MAY EXCEED THE PRICE PAID AT THE AUCTION. THE VALUE OF THE ITEMS PURCHASED AT THE AUCTION IS UNRELATED TO THE COST OF SHIPPING/PACKING. IF YOU ARE A RE-SELLER OF ITEMS PLEASE TAKE THIS INTO CONSIDERATION BEFORE BIDDING. Items sold "as is, where is" and all sales are final. Announcements day of sale take precedence over any printed matter. 18% buyer's premium applies to Internet purchases. Ohio residents pay applicable sales tax. Due to uncertainties of bidding, a lot may sell to the audience for the same amount as an Internet bidder. The auctioneer's decision shall be binding and final. All auction results are subject to confirmation by the auction staff at the conclusion of the auction. The record of sale, kept by the auctioneer and clerk, will be taken as absolute and final in all disputes. Some items offered at auction may have a reserve that was established by the owner/seller. Antiques and Estate Auctioneers have been given the authority to advance the bid on behalf of the seller to meet the seller's minimum reserve price. Due to the complexity of modern electronics and digital photography it is often impossible to get an exact and consistent reproduction of color. Therefore, the only flawless manner to assess the color saturation and detail of any graphic is by personally viewing the subject. This auction company will not be responsible for any variation between the catalog image and the actual piece. Every attempt has been made to accurately describe each item being sold, but the catalog descriptions used are for the convenience of the auctioneer. It is solely the bidder's responsibility to establish the accuracy of the description and determine each item's origin, authenticity and condition. Bidder's are encouraged to bid only after they are completely satisfied as to origin, authenticity and condition. Questions regarding any item being sold should be directed to the auction staff at least 48 hours prior to the auction. Bidder further agrees that under no circumstances will he/she initiate a charge-back on his/her credit card. Auctioneer reserves the right to charge your credit card at the drop of the hammer. Your invoice will be billed to your credit card following the auction. All property is sold AS IS?, and ALL SALES ARE FINAL. All descriptions provided are for informational purposes only and should not be interpreted as creating any representation or warranty. Property is open to thorough public inspection. It is the Bidders responsibility to determine condition, age, genuineness, value or any other determinative factor. Antiques and Estate Auctioneers and Appraisers may attempt to describe the merchandise in advertising, on the Internet and at the auction but makes no representations. In no event shall Antiques and Estate Auctioneers and Appraisers be held responsible for having made or implied any warranty of merchantability or fitness for a particular purpose. Bidder shall be the sole judge of value. Bidders who bid from off site and are not present at the live auction or preview understand and acknowledge that they may not be able to inspect an item as well as if they examined it in person. It is each Bidders responsibility, whether attending the auction in person or on the Internet to determine condition, age, genuineness, value or any other determinative factor. Antiques and Estate Auctioneers and Appraisers shall endeavor to describe in detail each item and any pertinent information about it. We are not professional conservators or restorers, and urge you to consult with a restorer or conservator of your choice who will be better able to provide a detailed, professional report. Prospective buyers should inspect each lot to satisfy themselves as to condition and must understand that any statement made by Antiques and Estate Auctioneers is merely a subjective, qualified opinion. NOTWITHSTANDING THIS REPORT OR ANY DISCUSSION CONCERNING CONDITION OF A LOT, ALL LOTS ARE OFFERED AND SOLD "AS IS" IN ACCORDANCE WITH THE CONDITIONS OF BUSINESS PRINTED IN THE CATALOG. Antiques and Estate Auctioneers and Appraisers will not be responsible for any errors or omissions in the description of the merchandise unless it is a material and intentional misrepresentation of the item itself. Bidder agrees that everything is sold as is and that they may not return any item they purchase. Antiques and Estate Auctioneers and Appraisers is providing Internet pre-auction and live bidding as a service to Bidder. Bidder acknowledges and understands that this service may or may not function correctly the day of the auction. Under no circumstances shall Bidder have any kind of claim against Antiques and Estate Auctioneers and Appraisers or anyone else if the Internet service fails to work correctly before or during the live auction. Antiques and Estate Auctioneers and Appraisers will not be responsible for any missed bids from any source. Internet bidders who desire to make certain their bid is acknowledged should use the proxy-bidding feature and leave their maximum bid 24 hours before the auction begins. Antiques and Estate Auctioneers and Appraisers reserves the right to withdraw or re-catalog items in this auction. Military Patches/Chevrons (Felt). Measures 10" x 5-1/2" and 10" x 6-5/8" approximately. All are in pairs of two. Included are: Cavalry Farrier 1874-1903, Artillery Farr...moreier 1874-1903, Cavalry Pioneer 1851-1899, Infantry Pioneer 1851-1899, Infantry Mechanic and Artificer 1899-1902, Artillery Mechanic and Artificer 1898-1902, Artillery Cook 1898-1902, Cavalry Cook 1898-1902, Infantry Cook 1898-1902, and Infantry Cook on Khaki 1899-1902, Hospital Corps Hospital Stewart 1901-1902, Hospital Corps Acting Hospital Stewart 1887-1901, Infantry Greatcoat Regimental Color Sergeant 1872-1901, Infantry Greatcoat Company Quartermaster Sergeant 1872-1902, Infantry Greatcoat Corporal 1872-1902, Engineers Sergeant 1872-1902, Infantry Khaki First Sergeant 1899-1902, Infantry Khaki Drum Major 1899-1902, Ordnance Post Ordnance Sergeant 1901-1902. Military Patches/Chevrons (Felt). Measures 10" x 6-5/8". All are in pairs of two. Included are: Ordnance Corporal 1872-1902, Artillery Company Quartermaster Sergeant ...more1872-1883, Infantry Sergeant Major 1872-1902, Infantry Principal Musician 1872-1902, Infantry Battalion Sergeant Major 1899-1902, Infantry Greatcoat First Sergeant 1898-1902, Infantry Greatcoat Sergeant 1872-1902, Cavalry Chief Musician 1872-1902, Cavalry Company Quartermaster Sergeant 1872-1902, Cavalry Sergeant 1897-1902 (Cotton Twill), Cavalry First Sergeant 1898-1902, Cavalry Sergeant 1872-1902, Cavalry Lance Corporal 1891-1902, Cavalry Corporal 1872-1902, Cavalry Regimental Commissary Sergeant 1872-1902, Cavalry Cook Corporal 1872-1902, Artillery Lance Corporal 1891-1902, Artillery Corporal 1872-1902, Artillery Sergeant 1872-1902. Smith & Wesson Model 29-2 in .44 Mag. Make: Smith & WessonBarrel Length: 8-1/4"Model: 29-2Caliber: .44 Mag. Military Patches/Chevrons (Felt). Measures 10" x 5-1/2" and 10" x 6-5/8" approximately. Most are single patches. Included are: Infantry Cook on Khaki Twill 1899-1902 ...more(4-3/4" x 4-1/4"), Artillery Pioneer 1851-1899, Cavalry Saddler 1899-1902, Infantry Regimental Quartermaster Sergeant 1872-1902, Cavalry Color Sergeant 1901-1902, Cavalry Service Stripe 1902-1910, Artillery Service In War Stripe 1902-1910 (2), and many more. U.S.M.C. Chevrons and Service Stripes. Includes Female (4, 8, 12, 16, 20, 24, 28 year) and Male (4, 8, 12, 16, 20,24, 28, 32 year) service stripes (2 each). Also includ...morees 2 each: Male Band Staff Sergeant, Male Band Sergeant Major, Corporal, Staff Sergeant, Private FC Jr. ROTC, Master Sergeant Jr. ROTC, Private FC, Staff Sergeant, Gunnery Sergeant (No Rifles). U.S.M.C. Chevrons. Included are 2 each Male Private FC, Corporal, Private FC, Master Sergeant, First Sergeant, Master Gunnery Sergeant, Sergeant Major, Sergeant Major of...more the Marine Corps, Male Private FC, Male Lance Corporal, Male Corporal, Male Sergeant, Male Staff Sergeant, Male Gunnery Sergeant, Male Master Sergeant, Male First Sergeant, Male Master Gunnery Sergeant, Male Sergeant Major, Male Sergeant Major of the Marine Corps, Female Private FC, Female Lance Corporal, Female Corporal, Female Sergeant, Female Staff Sergeant, Female Gunnery Sergeant, Female Master Sergeant, Female Master Gunnery Sergeant, Female Sergeant Major, Female First Sergeant, larger size 6" x 7-1/4" Staff Sergeant, Gunnery Sergeant, Master Sergeant, First Sergeant, Master Gunnery Sergeant. U.S.M.C. Chevrons. These are green on khaki. Included are: One Male Master Sergeant (No Rifles), 2 Each of: Corporal, Staff Sergeant (No Rifles), Corporal & Sergeant ...more(No Rifles), Staff Sergeant (No Rifles), Gunnery Sergeant (No Rifles), Large Stripe Staff Sergeant (No Rifles), Band Gunnery Sergeant, Band Sergeant Major, Staff Sergeant (No Rifles), Private FC, Sergeant (No Rifles), Staff Sergeant (No Rifles), Gunnery Sergeant (No Rifles), Male Private FC, Male Lance Corporal, Male Corporal, Male Sergeant, Male Staff Sergeant, Male Gunnery Sergeant (reverse of one is embroidered USMC 544), Male Master Sergeant, Male Master Sergeant, Male First Sergeant, Male First Sergeant, Male Master Gunnery Sergeant, Male Sergeant Major, Male Sergeant of the Marine Corps, Female Private FC, Female Lance Corporal, Female Corporal, Female Sergeant, Female Staff Sergeant, Female Gunnery Sergeant, Female Master Sergeant, Female First Sergeant, Female Master Gunnery Sergeant, Female Sergeant Major. U.S.M.C. Chevrons and 1 Service Stripe. First is the one service stripe. Following are the green on red except where stated: Staff Sergeant (No Rifles and gray on red),...more Gunnery Sergeant (No Rifles and gray on red), Master Sergeant (No Rifles and gray on red), Master Sergeant (No Rifles), Corporal, Corporal (No Rifles), Staff Sergeant (No Rifles), Private FC, Corporal (No Rifles), Sergeant (No Rifles), Staff Sergeant (No Rifles), Gunnery Sergeant (No Rifles), Band Corporal, Band Sergeant, Band Staff Sergeant, Band Gunnery Sergeant, Band Master Sergeant, Male Private FC, Male Lance Corporal, Male Corporal, Male Sergeant, Male Staff Sergeant, Male Gunnery Sergeant, Male Master Sergeant, Male First Sergeant, Male Master Gunnery Sergeant, Male Sergeant Major, Male Sergeant Major of the Marine Corps, Female Private FC, Female Lance Corporal, Female Corporal, Female Sergeant, Female Staff Sergeant, Female Gunnery Sergeant, Female Master Sergeant, Female First Sergeant, Female Master Gunnery Sergeant, Female Sergeant Major. U.S.M.C. Chevrons and Service Stripes. Includes Female (4, 8, 12, 16, 20, 24, 28 year) and Male (4, 8, 12, 16, 20,24, 28, 32 year) service stripes (2 each). Also includ...morees 2 each Male Chevrons: Private FC, Lance Corporal, Corporal, Sergeant, Staff Sergeant, Gunnery Sergeant, Master Sergeant, First Sergeant, Master Gunnery Sergeant, Sergeant Major and Sergeant Major of the Marine Corps. Military Medals (20). Includes NATO w/Former Yugoslavia bar, NATO Bosnia, Korean Defense Service, Kosovo Campaign, ROTC Superior Cadet, Cuban Pacification, CAP Bronze Va...morelor, New Mexico Outstanding Service, Louisiana Distinguished Civilian Service, Iowa Meritorious Service, Ohio Cross, Oklahoma Guardsman, Nebraska Legion of Merit, Oklahoma National Guard Commendation, New York Guard Recruiting, Texas Service, Florida Faithful Service, Michigan Valor, 1st Air Cavalry Div. Vietnam Service, Flags of our Nation. You've been outbid to 6****t! to YOU! Military Medals (20). Includes Louisiana Service Medal, Nebraska Faithful Service, North Carolina Achievement, Oregon Commendation, California Service, Washington Air Na...moretional Guard, Texas Meritorious Service, Colorado NG Meritorious Service, Alaska NG Marksmanship, California NG Good Conduct, Pennsylvania NG 20 years Service, New York Desert Storm Service, New York WWI Service, Pennsylvania WWI Service, Pennsylvania WWI Service w/Ribbon Pin, North Carolina WWI, Connecticut WWI Service w/Ribbon Pin, India General Service w/Naga Hills bar (side reads 33451 41 SEP A UTA R SINGH U.S.C. ), India General Service w/Jammu and Kashmir bar (side reads 2306 Gdsm. DURJAN SINGH, JAIPUR S.F. ), Marine Corps Marksmanship Quantaco 1947 w/2 bars - Center Fire, Timed Fire and Expert. Military Medals (17) Hat Pins (4). Includes two WWI Karl Joseph (No Ribbons), Gr. Britain Navy LS & GC (side reads KX 83805 A.L. Pearson A/P.O. S.M.H.M.S.Pembroke), Sang...moreram Medal (side reads JC 20259 SUB SANGAT SINGH BENGAL ENGRS GP), Cross Medal w/Ribbon (top reads Ver Nienst), Franz Joseph Medal w/Ribbon, Medal (back reads Das Land Tirol Den Verteidigern Des Vaterlandes 1914-1918 (No Ribbon), U.S. Defense Meritorious Service, U.S. Civilian Aerial Achievement, Gr. Britain Navy LS & GC (side reads MX 609296 J.R. Bentley L.P.M. H.M.S. Tamar. ), Military Achievement, National Defense Service, Liberation of Kuwait, Long Service, and more. Smith & Wesson barrel assembly/slide for model 41. Also included is a top rail with a Bowmar sight. Military Medals/Pins (20). Includes U.S. Army Air Force Navigator Wings, US Army Air Force Master Navigator, US Air Force Flight Surgeon Wings, Army Pathfinder (2), and ...moremore. Some are sterling, some are sterling filled. Military Chevrons & Service Stripes. Included are: Sergeant Major (2), Corporal (2), 5 Service Stripes, Master Sergeant (2) no crossed rifles, Corporal (2) no crossed ri...morefles, Sergeant (2) no crossed rifles, First Sergeant (2) no crossed rifles, Sergeant (2), Master Sergeant (2) and Master Sergeant (2) no crossed rifles. Military Patches (13). Included are: 4th Force Recon Co., Multinational Force Beirut - USMC, Operation Desert Storm, U.S. M.C. Baseball Cap Patch, Operation Desert Stor...morem, Persian Excursion, 1st Force Reconnaissance Co., 3rd Force Recon Co., Operation Desert Storm Sand Blasting AV-88 Harrier, Operation Desert Storm, Grenada, U.S. Marines, Force Recon U.S. Marines. Space Shuttle Patches. Includes 2 of each, small and larger: STS1, STS2, STS3, STS4, STS5, STS6 (2 small & 1 large), STS7 (2 small), STS8, STS9, STS26, STS27 (large onl...morey), STS28, STS29, STS30. Space Shuttle Patches. Includes 2 of each, small and larger: STS43 (1 only), STS44, STS45, STS46, STS47, STS48, STS49, STS50 (small only), STS51, STS51A, STS51C (small ...moreonly), STS52, STS53, STS54 (small only), STS56, STS57, STS58 (small only). Space Shuttle Patches. Includes: Apollo I (2), Apollo II (2), Apollo VII (2), Apollo IX (2), Apollo X (2), Apollo XII (2), Apollo XIII (2), Apollo XV (2), Mercury 8, Me...morercury 7, Apollo Program (2), Skylab III (2), Shuttle Mission Operations, Shuttle Chase Team, Apollo 3/S, Apollo /Soyuz. Crossman Arms Co. Model 600 in .22 Caliber. This is a CO2 Semi-automatic pellet gun. SN-076030 Overall condition is very good. Comes with original box, booklet, can o...moref pellets and CO2 cartridges.